Designed for a family with 3 members in number travelling together to Udupi, Manipal & Mangalore to visit Krishna Temple, Manipal Hospital or other toursit places in Udupi & Mangalore. 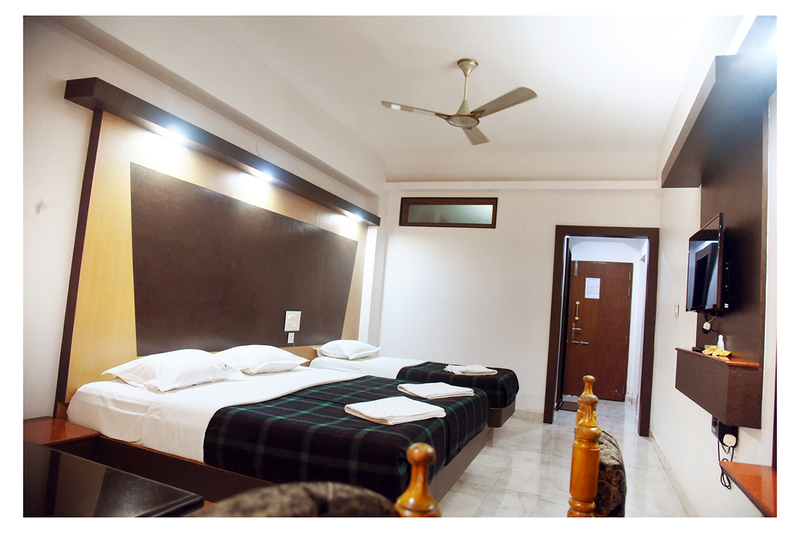 The deluxe family Non AC room at Kediyoor Hotel designed to provide equal level stay to all by providing One double bed and one single bed in the same room. 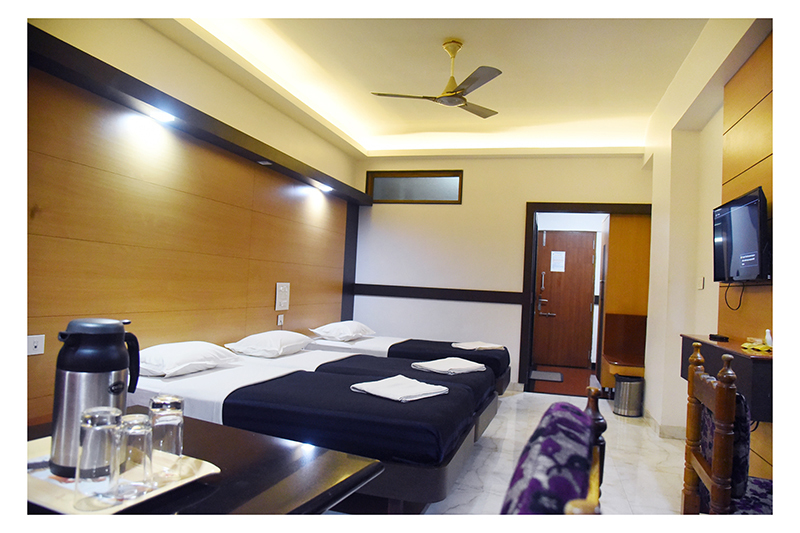 These rooms with 24 hour hot & cold water supply ideal for family or friends works out economical (instead of taking 2 double bed rooms) & brings sense of togetherness & erases all your weariness away with its distinct comforts and luxuries. Plus they have all the amenities and facilities that make your trip hassle-free and successful.